Gold discovered in the early 20th century fueled growth in Oatman for a few decades. The town was originally called Vivian but it was changed to Oatman in 1909 with the establishment of a post office. 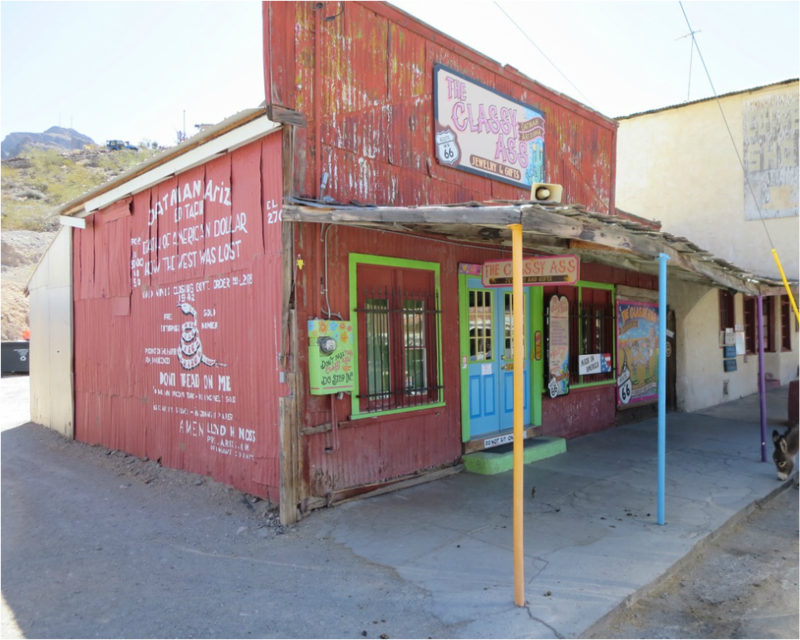 Oatman's population peaked at about 10,000 in the 1930s, some reports say. The miners moved on when the ore played out. In that exodus, ore-hauling burros were left behind. 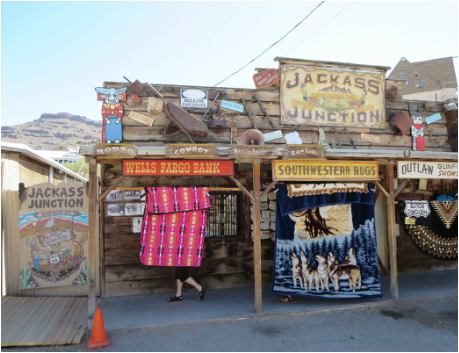 Those feral beasts of burden still populate Oatman as the star tourist attraction. Visitors can buy cheap food pellets for the burros. on a tortuous stretch of Route 66 that winds its way up to Oatman over Sitgreaves Pass. Cool Springs burned down in 1966 and was rubble for more than three decades. Then Ned Leuchtner bought the ruins in 2001 and painstakingly rebuilt it as a gift shop. 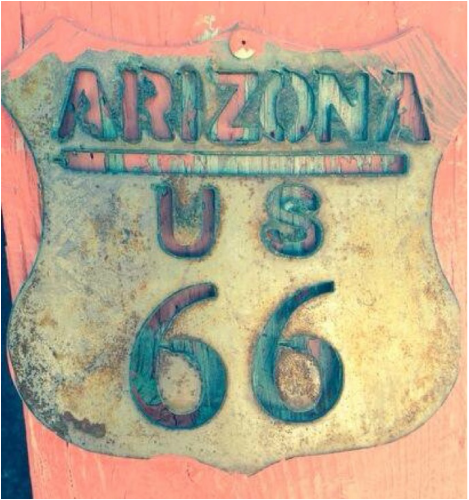 Meanwhile, Route 66 was realigned in 1952 and Oatman was bypassed. Adventurous drivers and motorcyclists still make the 29-mile jaunt from Kingman to this ramshackle mining town. The 2010 U.S. Census lists Oatman's population at 135. Cool Springs, with Thimble Butte in the background, is on a hilly and narrow stretch of Route 66 between Kingman and Oatman. 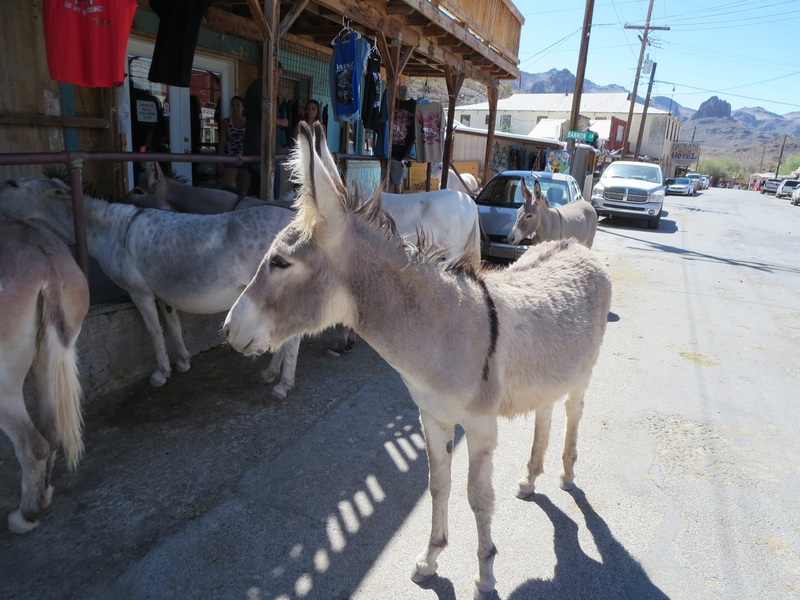 Burros on Oatman's streets are descended from animals miners left behind. The tourist shop names play off the town's burros. 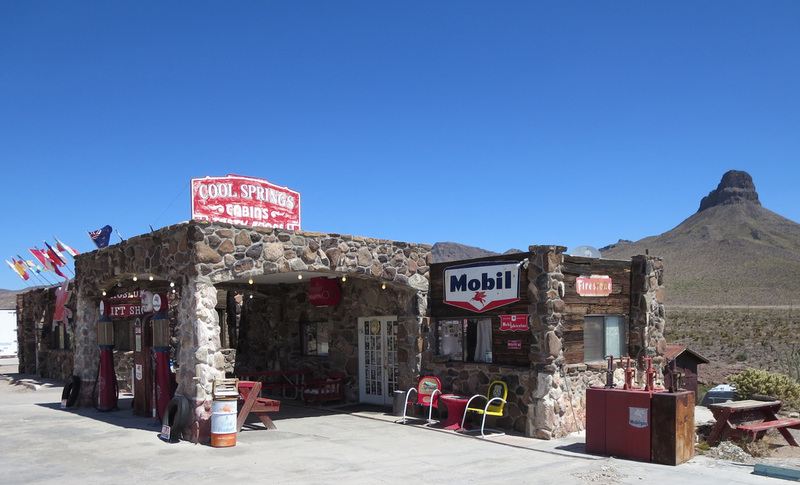 Oatman was bypassed when Route 66 was realigned in 1952, eliminating a narrow highway that cut through Sitgreaves Pass at an elevation of 3,556 feet.